PayrollPanda — How to approve leave requests? 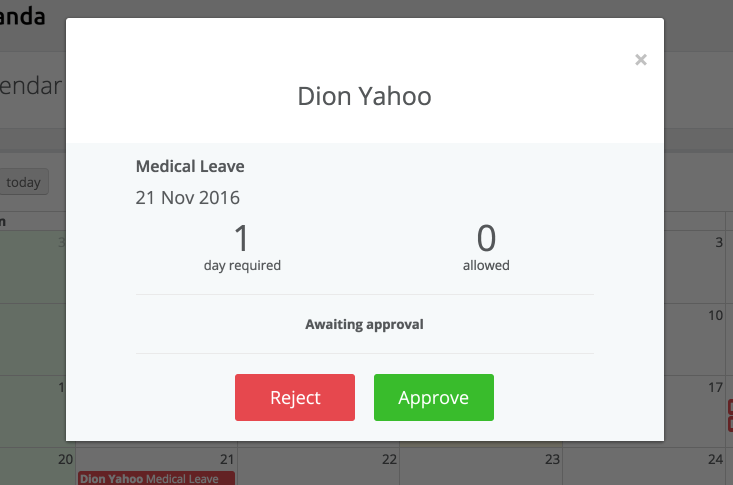 Help Center Home App How to approve leave requests? Under the Dashboard, click on "Leave Requested" next to the employee's name in the Action Log. Please note that administrators may see more menu options on the left side. 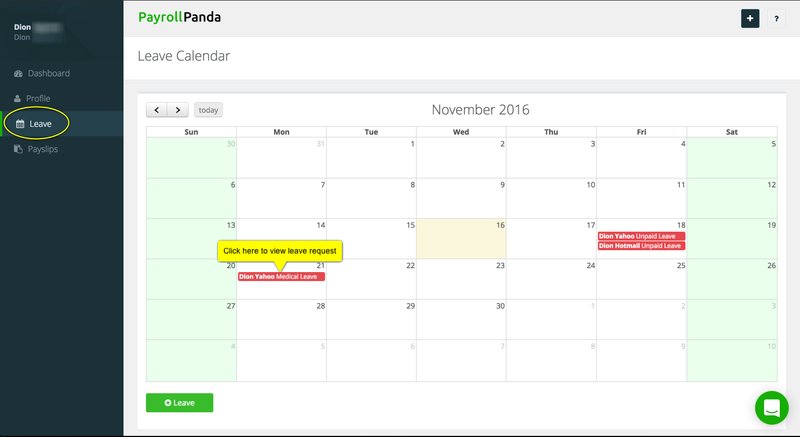 Under Leave, click on the red highlight in the calendar. Once you click on either "Leave Requested" or the red highlight, you will be prompted with a pop-up that asks you to Accept or Reject the leave request.